This boat has brought her current owners across the Atlantic as part of the ARC, and given them two very happy seasons in the Caribbean. Prior to that she was UK-based. She was additionally prepped for the Atlantic crossing and subsequent cruising with new standing rigging, some new nav equipment (cockpit chartplotter, Radar) and electronics, windvane self-steering, Coppercoat antifouling and new canvas sun covers. For me, she was a joy to go on board, despite being a hot dusty day in the boatyard. First she is clean and very tidy. Second, she was clearly well decommissioned by her owners when they left in May - which is generally indicative of a high level of care and maintenance. So much so, we did not want to disturb the fitted shade tarps on the side decks! 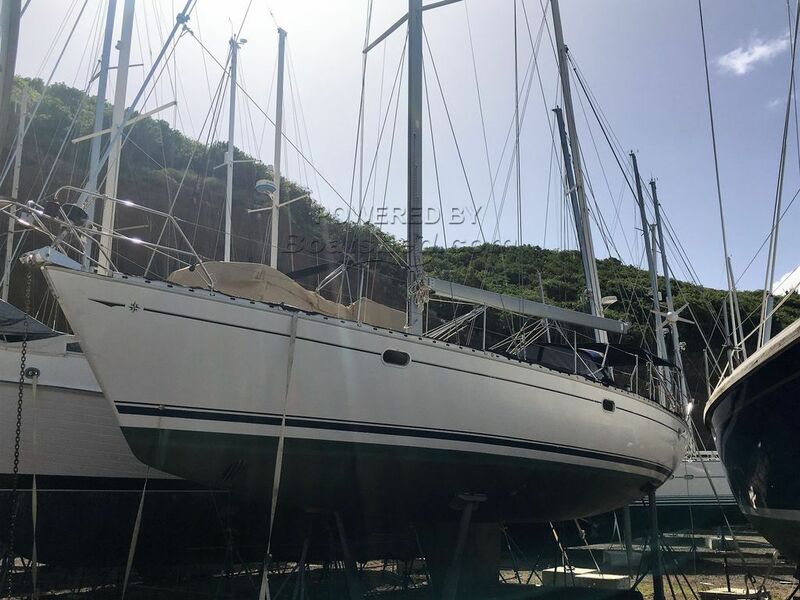 This Jeanneau Sun Odyssey 45.2 has been personally photographed and viewed by Anita Sutton of Boatshed Grenada. Click here for contact details.